One bedroom unit with a separate lounge/dining area with fully equipped kitchen. Bedroom offers one queen bed and one single bed, with ensuite bathroom with shower or bath. Rate for 2,one bedroom apartment, separate lounge/dining area with fully equipped kitchen. Queen bed + single bed in bedroom, fold out sofa in living room, en-suite has shower over bath. Common laundry.Please provide ETA and cellphone number when booking. One bedroom apartment with a separate lounge/dining area. 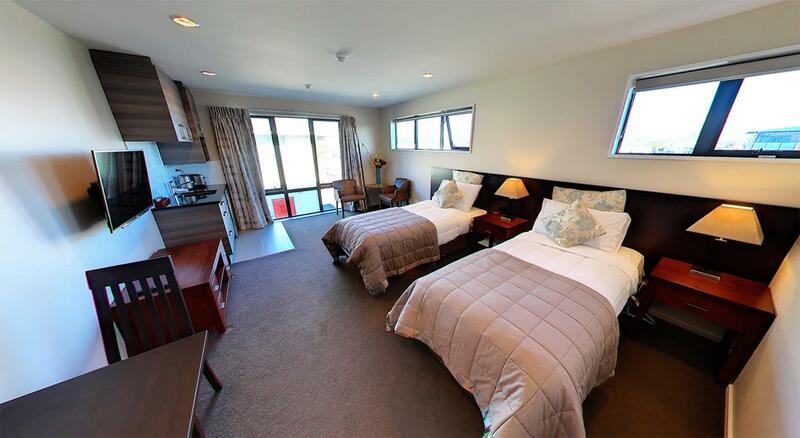 The spacious bedroom has a Queen and a Single bed with ensuite bathroom with shower or bath. The apartment also consists of a fully equipped modern kitchen, including a dishwasher and a bench top oven, and the lounge has a fold out sofa bed, a Sony TV with free view. Free cable broadband internet up to 200MB on request. Bedroom consists of a Queen bed and a Single bed, with the lounge having a King size sofa bed. Rate for two at this modern deluxe one bedroom apartment, separate lounge/dining area has fold out sofa which could be a king bed. Sony flat screen TV with free view channel; Fully equipped kitchen with dishwasher and bench top oven. Fujisu heat pump makes you warm and cozy. Bedroom consists one queen bed and one single bed, en-suite bathroom with shower or bath. Free cable broadband Internet up to 200MB on request. Please provide ETA and phone number. One bedroom unit with a separate lounge/dining area with fully equipped kitchen (old style). Bedroom offers one double or queen bed and one single bed, with ensuite bathroom with shower or bath. Be the our first booking for your date and receive a discounted rate! NB. Rate for 2, One bedroom apartment, separate lounge/dining area with fully equipped kitchen. Queen bed + single bed in bedroom, fold out sofa in living area, en-suite with shower over bath. Common laundry. Please provide ETA and cellphone number when booking. A special twin room has two separate single beds, beds fully made and has electric blankets. In room heater and fridge unit plus coffee, tea facilities. Shared bathroom facilities. Free WiFi access up to 100MB. Flat screen TV with built in DVD. Free WiFi access up to 500MB. A large double room with a comfy double bed, bed fully made and has electric blankets. In room heater and fridge unit plus tea, coffee facilities. Shared bathroom facilities. Free WiFi access up to 100MB. Flat screen TV with built in DVD. A single room with a comfy single bed, fully made and has electric blankets. facilities. Free WiFi access up to 100MB. Flat screen TV with built in DVD. We are located in the suburb of St Albans, very closed to centre city and public transport, superb shopping malls, restaurants and civic amenities. The CBD of Christchurch is only 2.5 kilometres away and the Christchurch International Airport 9.5 km away. Take Memorial Avenue which continues into Fendalton Road. Turn left at Hagley Park into Harpers Avenue which continues into Bealey Avenue. Go past Colombo Street and Sherborne Street is the next street on your left. We are located on the right hand side. From Main North Road : Stay on Main North Road until you can turn left on Cranford Street. Continue straight until it becomes Sherborne Street and we are on the left hand side. Fail to check out on time management may enforce a penalty of $20/ hour. Achilles Motel has a NO Smoking policy. Any guests smoking in rooms will incur a penalty of $200 and management may remove the occupants if deemed necessary. Any damage or loss/theft of equipment from your apartment will be charged at replacement value. Any excessive cleaning required over our normal cleaning standards will incur an applicable charge, either by hour or paid professional services. Guest is liable for any illegal using of Internet. Key loss or damage charge is $15. Achilles Motel will not be liable for any occupant’s valuables, equipment whiles stay with us. I acknowledge and agree that I am responsible for the payment in full of all costs associated with this accommodation. I also give my authorization to charge my credit card given, for any unpaid charges, any damage, and theft from the unit during the period of my occupancy.